Paintings, drawings and mixed media collage. 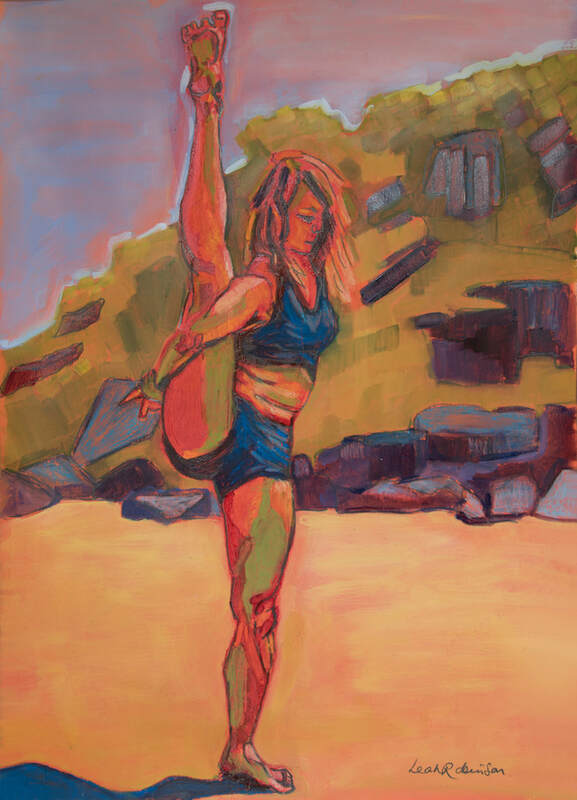 Leah is inspired by the strength and beauty of the human form and the creative connection between body, mind and spirit. Presently, most of her work is related to yoga and meditation, but she has other works on show, that she describes as 'creative discovery' pieces, images born out of markmaking and playing with colour. She also takes commissions for other types of work. Leah is interested in the over lap between creative practice, meditation and mindfulness. How, as creators, we change the nature of the materials we use and in turn they can change us. Our neurobiology and psychology can be positively affected by our engagement in the creative process. 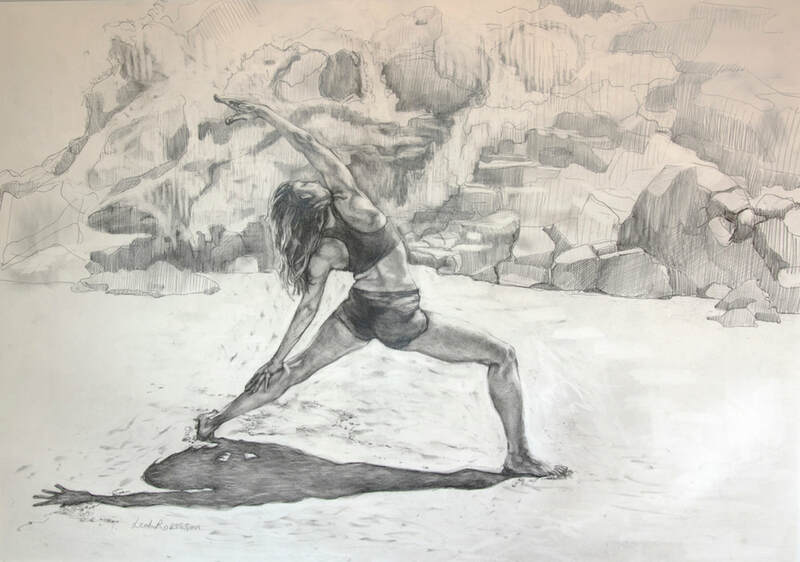 Qualified in delivering meditation practices, she combines art and meditation in workshops and is also available to work one to one with meditation, art or a combination of the two. Art and Soul is creative, energetic and colourful. A celebration of living energy! ​NO IMAGES OR TEXT TO BE REPRODUCED WITHOUT EXPRESS WRITTEN PERMISSION.